Disclosure: I received a complementary sample in order to facilitate a review. No other compensation was received. Any and all opinions are honest and my own but may vary from yours. Are your feet and heels Summer ready? I mean are they ready to be seen by the world this Summer when you're wearing your sandals? 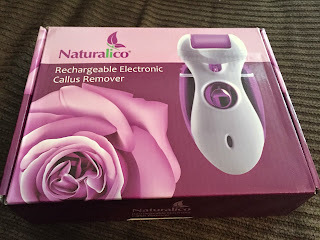 Mine certainly were not until I received the Naturalico Rechargeable Electronic Callus Remover! I struggle with super dry, flaky and callus filled feet year around. After the hard Winter, my feet sure needed pampering. 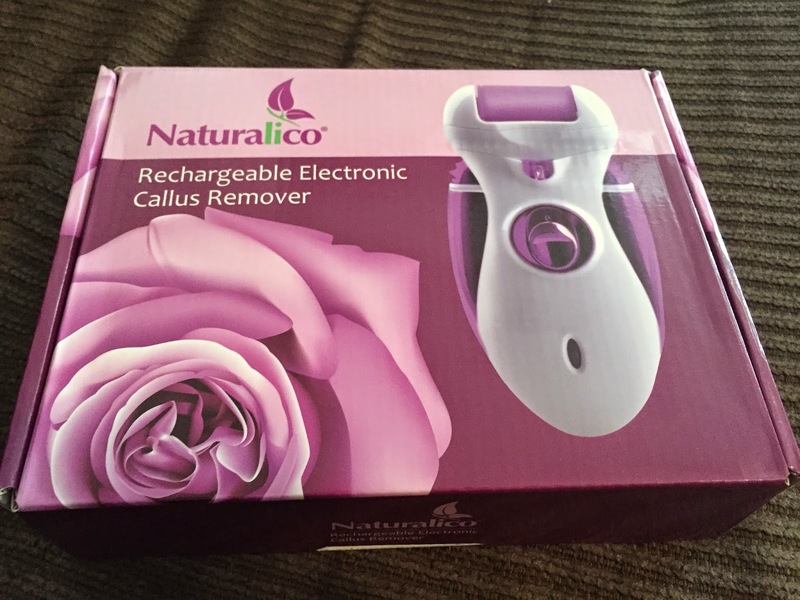 I was happy to receive the Naturalico Callus Remover to see what it could do for me. I love wearing sandals in the Summer but usually shy away from them because of my feet. 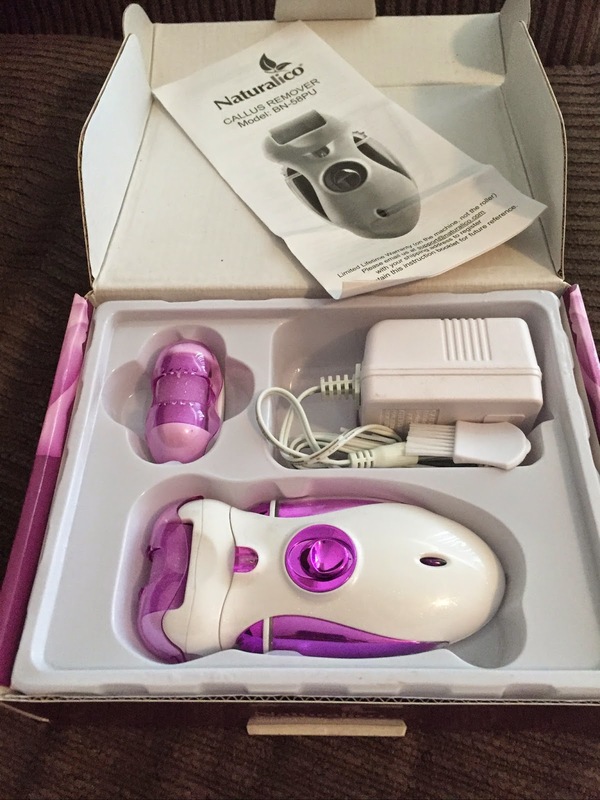 It was super easy to use! I just let it charge for a couple of hours and it was ready. I admit that I was a little scared to use it because I was afraid it would hurt. It did not hurt at all! It removed so much dead skin from my feet, it was pretty disgusting. In only a couple of minutes of moving the device up and down and around my feet, my feet had improved. While there was improvement on the first use, I did need to use it over several more days along with lotion in order to achieve smooth and soft feet and heels. I love that there are no batteries to keep replacing! For a small price, you could get one of these and make your feet Summer ready! I would recommend it to anyone who is dealing with dry, hard and/or calloused feet and heels. It removes it all within a few uses depending on severity.